We did it again; met our annual goal of 200 hats and scarves for those in need this coming winter. Temple Beth Am Knitzvah Knitters and friends. These will be distributed to Shoreline Hopelink, Shoreline Family Community Services, and Operation Emergency downtown. 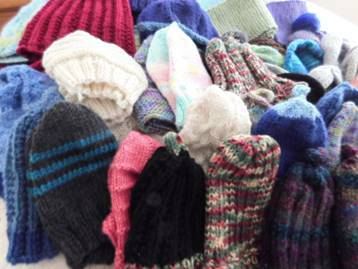 If you know of a local organization that could use this assistance, contact the knitters.